So, are you ready? Are you ready for that “get up and go feeling”? Are you ready to run screaming out of the building? The inspiration for this coffee cocktail comes from St. George NOLA Coffee Liqueur. It’s a phenomenal blend of chicory root, vanilla and dark coffee. Hands down the best coffee liqueur I’ve ever tasted. 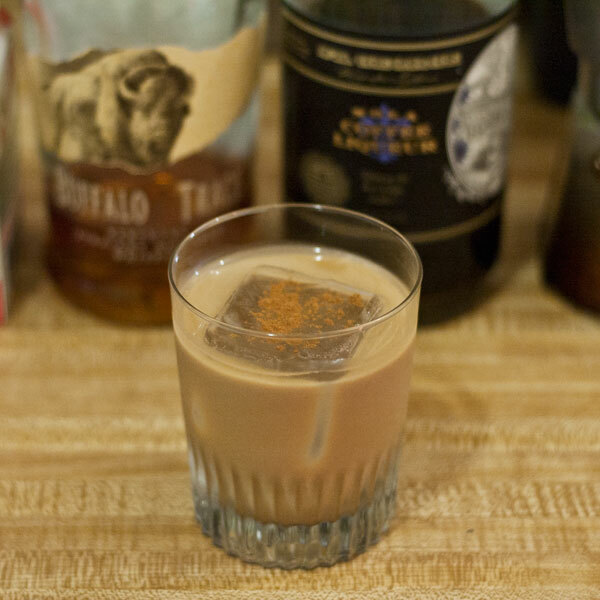 To this I added bourbon, espresso, half n half and a little dust of cinnamon. BOOM. In tin combine Espresso, Coffee Liqueur, Bourbon, Half n Half and stir. Pour into rocks glass over ice. Dust cinnamon on top. Hold onto your hat!